Jordan Rickles is a principal researcher at AIR. 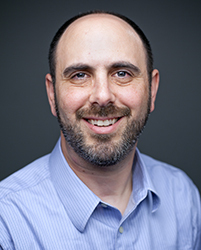 Dr. Rickles has fifteen years of education research and evaluation experience, including work within the Los Angeles Unified School District (LAUSD) and the University of California National Center for Research on Evaluation, Standards, and Student Testing (CRESST). He specializes in research design and quantitative methodology, with a particular interest in investigating variation in effects and practices across schools. His current and recent research projects include studying teacher feedback systems, whole school reforms, charter school transformations, after school program participation, online credit recovery, and the effects of taking algebra in 8th grade. In 2015, Dr. Rickles was the recipient of an IES Statistical Research Methodology in Education Early Career Grant. He regularly presents at national conferences and his work is published in book chapters and peer-reviewed journals, including the Journal of Educational and Behavioral Statistics, Evaluation Review, Journal of Research on Educational Effectiveness, and Journal of Educational Research. Dr. Rickles earned a Ph.D. in Education from the UCLA Graduate School of Education and Information Studies, with a concentration in Social Research Methodology. He was also an IES pre-doctoral fellow in the UCLA Advanced Quantitative Methodology program. He received a Master of Public Policy degree from the UCLA School of Public Affairs and a Bachelor of Science degree from the Cornell University School of Industrial and Labor Relations. Credit Recovery: Are Face-to-Face Classes Better Than Online?